I warned you there would be more of these fly rug reviews to come...? 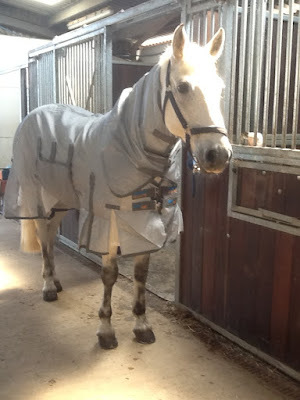 Well, I wasn't fibbing and today I am going to be sharing my experience of using Premier Equine's Super Lite Fly Rug with Belly Flap. 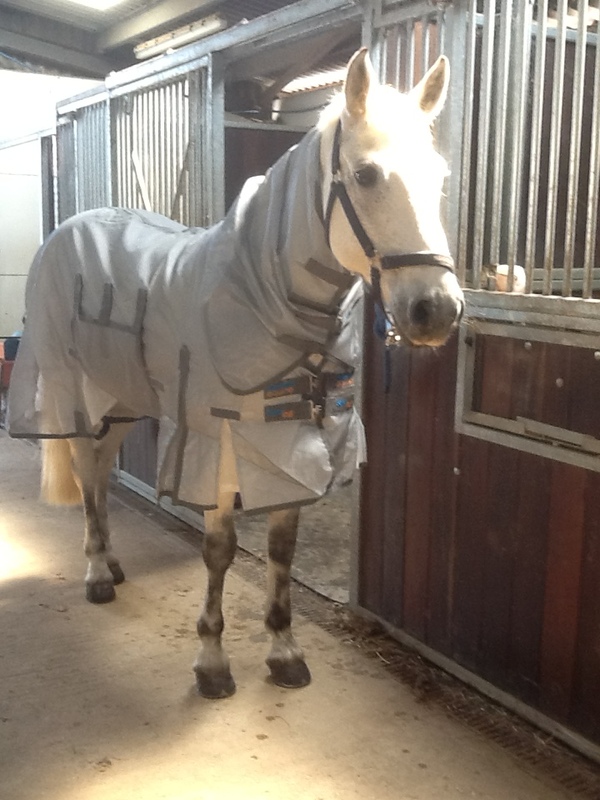 I purchased this rug last Summer when the UK temperatures rocketed and Oscar got too hot in his trusty Mark Todd rug. The main attraction to the Premier Equine Super Lite Fly Rug was it's claim to have been tried and tested in the hottest climates, proving that it's revolutionary fabric successfully protects against sun and heat build up! The material is 100% lightweight nylon, ensuring strength, durability and comfort, whilst protecting against flies and reflecting the sun...it is unlike any other fly rug fabric I'd seen before, almost a bit cardboard like at first and I couldn't decide whether Oscar looked like he was preparing for a trip to the moon or to go in the oven for Sunday lunch?? But I soon didn't care because it worked for Oscar, who stayed cool and comfortable. Lets move onto the design...top to bottom, the neck, beautifully long ensuring it covers the whole neck even when grazing, lined to reduce any rubbing of the mane - great features. The 2014 design had a velcro chest fastening - I don't know what the official word is but it's where one piece of velcro interlocks between two other pieces, come on, someone help me out - followed by two chest surcingles. ***I will come back to this feature at the end. Elasticated shoulder gussets, allowing full freedom of movement and lined over the wither and shoulder to avoid rubs, the fit was great Oscar was his usual 6'0 and it was perfect in length, depth etc... The rug comes with normal belly surcingles or a belly flap, I opted for the full flap as Oscar has a whirl that flies love to attack! The belly flap has a gusset on either side so doesn't restrict, it is soft, well fitting and easily adjusted with three velcro tabs, moving onto the back end...leg straps, excellent at keeping everything in place and a generous tail flap with an elasticated tail slot for increased protection. 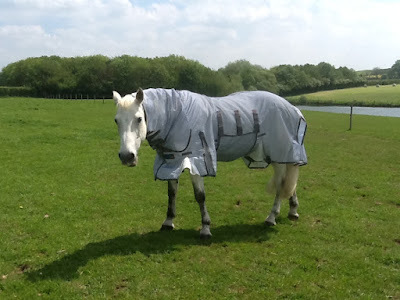 The Premier Equine Rug with Belly Flap ticked so many boxes, until - please refer back to the *** - I noticed each day the velcro chest clasp would fold back and it was rubbing Oscar's skin...the rug sizing was perfect, the rug was pulled forward and repositioned each morning without fail and taken off for ridden work at night before reapplying and yet it still rubbed...I contacted Premier Equine and returned the rug with photo evidence of the problem, their customer service was excellent and it was disappointing as every other feature to this rug was perfect! Looking at 2015's stock I can see they've improved their design, I'd love to say this is down to Oscar and I...maybe it is, but I can see they've altered the funny velcro thingy and replaced it with convenient chest clips...and although expensive at £99.99 it is definitely something I would try again so if over heating is your concern, this could be one for you too! 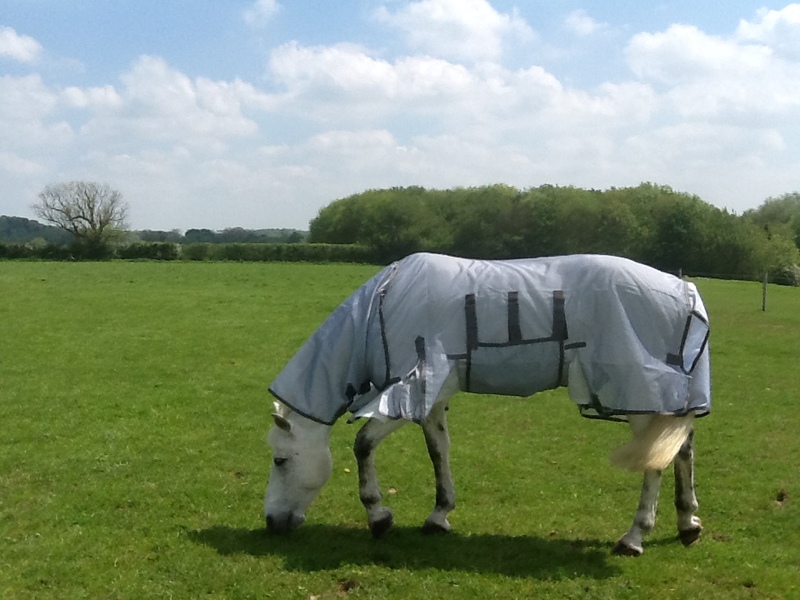 Please sign up to Premier Equine's mailing list as they have a daily discount of their product of the day, which could save you money.